10/10 sea otter would buy again. Is there anything better than sciencey types geeking out over biodiversity in the form of overly earnest fake Amazon reviews? If the “rateaspecies” hashtag making rounds on Twitter this weekend is any indicator, probably not. 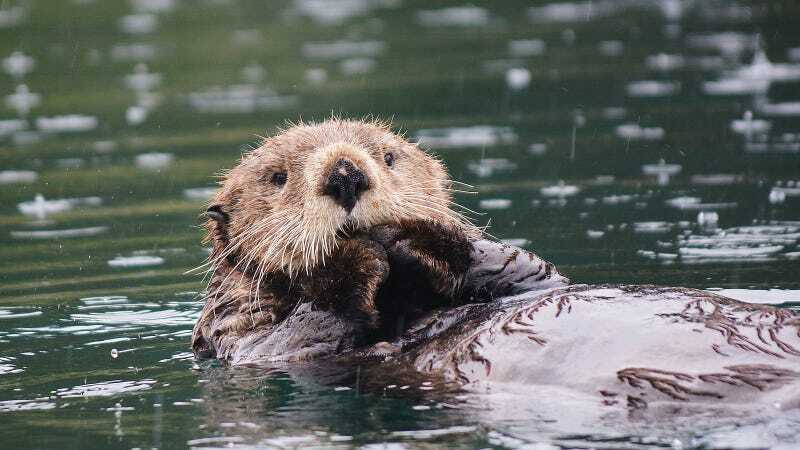 Shervin Hess, digital media lead at the zoo, explained that the tweet was inspired by Lincoln, an orphaned sea otter pup that recently took up residence at the zoo and with whom Hess has been spending a lot of time lately. Hess asked a friend on the social team at Monterey Bay Aquarium if they wanted to spend the afternoon rating species on Twitter, too. And indeed, they did—who wouldn’t? Other zoos, aquariums, and science museums soon joined in, adding pics of their favorite animals with hilariously on-point comparisons to various household products and consumer devices. This mantis shrimp, for instance, with its high-powered, clam-cracking appendages, would doubtless make an A+ seafood utensil. And really, can you fault the American Pika, a harmless floof that subsists off wildflowers and kindness, for anything other than being too cute? Vultures, of course, are nature’s cleanup crew, scavenging carrion long after the carcass is too putrid for most other animals to eat. And apparently, the turkey vulture pictured above defends itself by vomiting! The things you can learn from reviews, amirite? As for which animal deserves the highest rating of all? Hess said that while he couldn’t imagine giving any animal less than four stars, river and sea otters topped his personal list. “They are evolutionarily designed to bring joy,” he said.